In today’s world, the explosion of paper files and electronic documents poses a huge challenge for companies to maintain and keep their vital business information safely. Loosing files, out of storage space and unexpected disasters have caused companies lost of profit. RecordXpress understands the challenge and commits itself to satisfying your company’s needs. With over a decade experience in secure storage, RecordXpress provides records management utilizing the latest software technology. In order to corroborate your specific needs, RecordXpress conducts a NO COST & NO RISK Client Needs Assessment (CNA) for every prospective client. You have nothing to lose except twenty minutes meeting with our representative. RecordXpress can take over the time consuming and complicated records management processes while your business profits from properly managed information. 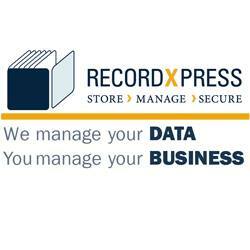 RecordXpress is a privately owned company providing records management services to small and medium sized businesses throughout Canada, specifically in the GTA area. Are you the owner of RecordXpress?